A Literary Odyssey: Book 56: Structure. 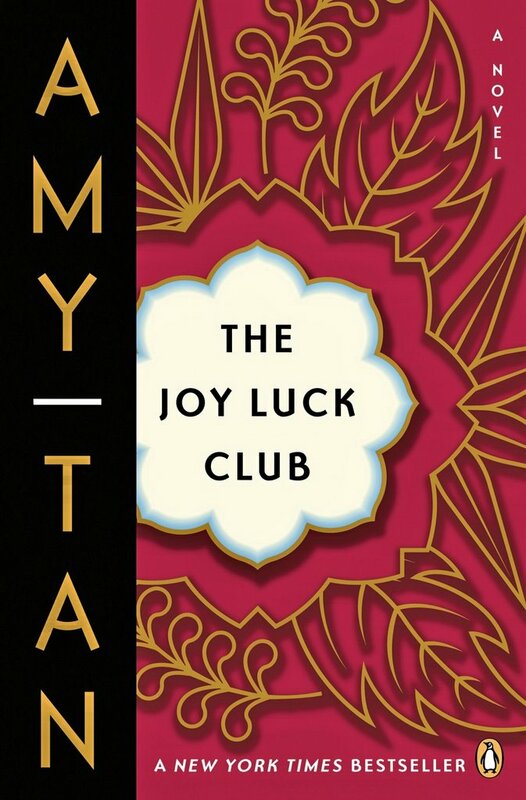 Reading The Joy Luck Club for the second time is a completely different experience than the first time. When I read it back in high school, my teacher altered the way in which we read the novel. For those of you who are unfamiliar with the novel, it follows four mothers and their daughters (although one of the mothers is dead at the beginning). There are four sections, each with four short chapters. Each character gets two of their own chapters to tell an overall story in the book. Back in high school, we read the novel by characters. We would read the mother's two stories, followed by her daughter's. And so on and so forth. It made some kind of linear sense as we read it and it was probably easier for our tenth grade minds to understand. This time, I am reading the novel straight through. It is different enough that I feel I am pulling more from the novel, but the stories are familiar. I know that one of the chapters/stories, "Rules of the Game" is taught in schools and is found in many of those heavy "literature" textbooks kids get in high school (I know, I taught the story!). In reading this again, I find that I am thinking a lot about the structure of the novel. It has 16 different parts that equal one big whole. I wonder if Tan tried to write it from one point of view instead of 7, and if she believed that the only true way to tell this story was in the way she did. I am wondering all of this as a writer myself. I have restarted pieces because it didn't sound right from one perspective. My current WIP was restarted three times to get the sound right and the structure in place so my character's story could be told. It makes for interesting thinking-the structure of the stories we love so much. If you think about one of the biggest novels from this summer, Mockingjay, it is easy to change how we would ahve viewed it. The novel would have had a different tone and feel had the point of view come from one of the Gamemakers, or from a citizen of the Capitol. Would we have seen Katniss as a friend or foe? We can take one of Austen's novels, Pride and Prejudice, and think about the structure there. Why did Austen tell it in such a way? I am beginning to think that sometimes a story can only be told in one way, and it is the author's job to find that right structure for their novel. Perhaps that is why some novels fail, even with good ideas. 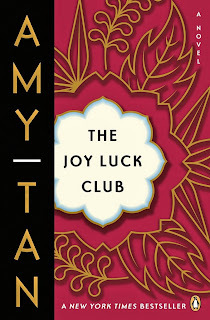 I remember thinking back in high school that Tan's novel was a stupid way to tell a story. I had a hard time putting together the pieces of these women's lives and making sense of it. But now, I can see why Tan's structure is so important to the whole. Each piece fits together in a way that a linear novel couldn't accomplish. We get insights about the struggles of being a different race in a white dominated America from more than one person. And together, they paint a picture of racial differences and prejudices I wouldn't have gotten from any other novel. Yet again, I am amazed at how much more I can pull out of a book on a reread. Every book has value and insight, given that we read it at the right time. Amen to the power of re-reads. A book can be a new experience with rich new things to experience upon a re-read. I'm pretty fascinated with structure and point-of-view myself. I haven't read it, but I remember Barbara Kingsolver saying in an interview that she wrote The Poisonwood Bible (honker!) something like four times. Once from each major character's point of view. On the one hand, I can't even imagine investing that much, but on the other hand, it's probably the only way to make a novel like that so incredibly authentic (or so I hear, since I haven't read it yet). If I were the author, I would have been annoyed that the teacher was teaching it out of order -- the order and the characters switching makes the novel a cohesive whole! That said, I also haven't read it since high school. So I definitely need to read it again.